Nano Golf is a minimalistic mini golf game of wits and skill capable of filling every free second of your time. The game features 72 levels in total and four different game worlds, each featuring more and more complex layouts, with various mechanisms and different ways to hit the hole. While on the outside Nano Golf doesn’t look like much, with simple color combinations along with minimal pixel art style to its various holes, the game compensates its modest looks with superb gameplay, precise controls, and solid physics. As we said, as in any golf game, the goal is to put the ball into the hole within a certain number of moves. Trying to make the job harder are various obstacles, walls, switches, acceleration and deceleration mats, as well as lasers and even teleports and spikes. By combining different elements in many different ways, Nano Golf provides a challenging yet rewarding experience that never reaches the level of frustration. You will find some holes hard, especially during the second part of the game, but they will never be so hard to be called unfair and unrealistic. Sure, birdie won’t be always achievable, but with a bit of patience and steady aim, every hole can be finished scoring at least par. 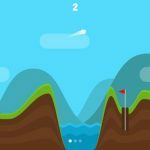 Sure, you will need a bit of time to master your skills and find your perfect way of playing Nano Golf, and this guide should lower the learning curve and help you become better at the game in no time. Stay with us and find out how to score at least par on each level found in Nano Golf. 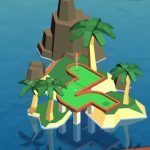 Nano Golf has one major shortcoming – maybe it is even a decision made by developers in order to make the game more challenging and interesting – and that’s the fact that shots cannot be canceled. Once you place the finger on the screen and start aiming, you have to hit the ball. Instead of experimenting with aiming and dosing power, like when you unlock the next level and want to check out whether the ball can be steered between two walls, landing near the hole in one shot instead of two or more, and then cancelling the shot and going for safer options once you realize that aiming reticle shows that the ball will hit one wall or the other, In Nano Golf you have to make the shot once your finger touches the screen. We advise you to freely experiment with various shots because the game does support one-touch restart that gets you back to the opening shot. Nano Golf is a game that features relatively small hole layouts and it is more effective and productive to experiment with quick shots than to spend dozens of seconds aiming for that perfect hit. And these quick, experiment shots are great to find out the winning shot route because the game has solutions that are quite simple in most cases. When you play on a hole with lots of walls and narrow paths it is usually better to shot the ball with full power and with a path that makes it bounce off walls than to place a calculated shot that tries to pilot the ball through the narrow path to the hole. You see, in Nano Golf holes feature small layouts – as we already noticed – that, in most cases, favor simple solutions. And just hitting the ball with full force and with the aim of making it ricochet from wall to wall is one of the simplest choices available. Of course, the tactic shouldn’t be used on every hole. Those that feature jagged walls that destroy the ball upon touching it are perfect levels for a more subtle approach, where you should use the terrain to your advantage and dose the power instead of just ramming it to the max. And when playing levels that feature teleports, you should think ahead. Calculate at which angle the ball will come out from the other side of the teleport before hitting it. Also, adjust the power so you can place it in the best spot possible for the next hit. This is important in levels that combine teleports and walls that, once touched, unlock parts of the playfield. When playing such levels you want to perform as many moves as possible. For instance, to exit safely from the other side of the teleport, to hit the wall that unlocks the playfield and to place the ball near the place where the lock was so you can hit the hole in one less strike than it looked like at the start of the level. 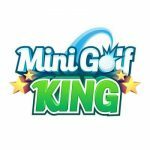 You will know where to utilize the first strategy (just hitting the ball and letting it ricochet) and where the second because most levels feature obstacles that clearly favor one of the two strategies. The most tricky ones can usually be beaten with steady aim and careful dosing the power, but some of the most complex ones ask for a combination of the two. On these complex levels, using just the simple tactic will usually just destroy the ball every time, and using just the second tactic where you careful drive the ball towards the hole will get you a pretty low score – bogey or worse. So, never be a slave to just one tactic. Power tactic is great for early levels and the slow and steady tactic is good for when you don’t care about the result and just want to beat a level. But on most holes, the best scores are achieved only when you combine the two. Power style, where you just hit the ball with max power and let it ricochet isn’t viable in situations where the hole is close, even when you face a complex path that looks like it could be solved by just maxing the hit power. Ball has to travel at a relatively slow pace in order to fall into the hole, and if you just hit it, it will probably just jump over the hole. So, don’t play powerful hits near the hole, even when you think that is the right solution. While experimenting with shots is a better way to beat levels, when trying to improve your score on a level you already beaten or when you play a particularly tricky hole, the best way to finish it with the least amount of shots is studying a level and plotting potential paths the ball might have once you hit it. This will give you an approximate path of the ball with all potential routes so you can see just how many shots are needed in order to place the ball inside the hole. Then, since you already have all the time in the world and not playing to simply beat a level, set the goal for the minimal amount of shots needed and meet it. Then, except when you hit a hole in one, try lowering the number of shots by one. This way, Nano Golf veterans will be able to set the best score on each of the game’s many levels. We understand, scoring a bogey on a couple of levels in a row might be discomforting, frustrating even, but it is always better to just beat a level than to restart it until you score par or birdie. You see, some level found in Nano Golf can be pretty tricky to beat, so why wasting time you needed to finally put the ball inside the hole by restarting the level and torturing yourself until you achieve a high enough result. And the game is pretty lenient when it comes to achieving a gold trophy for a world. Yes, you want to find star ratings here, but at the end of each world, the game will give you wither a gold, silver, or bronze trophy. And the gold one is easier to earn than you think. We believed that, on the second and especially in the third world, we don’t have a chance to get a gold trophy. But Mono Golf doesn’t punish mistakes are rigorous as some other games do. Even during the third world, where we had lots of bogeys and pars, and almost zero birdies, we earned the gold trophy. Remember this the next time you find yourself resetting a level for the tenth time, trying to score par or better. Okay, folks, that was all. 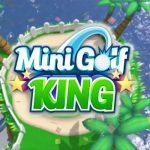 We hope you enjoyed reading our Nano Golf guide and we also hope that it managed to give you an edge while playing the game. Remember that shots cannot be canceled, that the game favors when you combine the power and slow and steady tactic and that gold trophies can be earned even when you play on less than stellar level. Thanks for reading and happy gaming!